In 2002, Carol and I were following Katie to breakfast and Katie was dressed in pj's & a robe. The idea hit to have an official PJ breakfast every Sunday at camp. 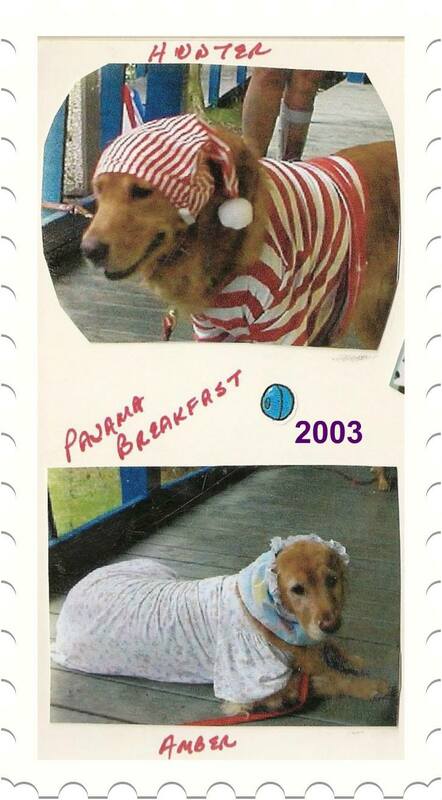 Sooooo....in 2003 our dogs were well prepared in their very best Sunday pajamas!! And that's it, a tradition was born that carries on every year so don't forget to pack nicely pressed footy pajamas so you can look stunning for Monday morning breakfast.